It’s the first South Florida Bloggers Meetup of 2016 and we have partnered with Podcast South Florida for a special event! On Saturday, January 16, 2015, starting AT 7pm, we will have guest speaker Kimanzi Constable from kimanziconstable.com. Kimanzi Constable is an international public speaker who has written for major sites. He will be visiting from Maui and sharing his guest writing advice with us. I used to deliver bread for a living, now I write. You can see my words in cool places such as the Huffington Post, Entrepreneur Magazine, Mind Body Green, the Good Men Project, Fox News, and many more. My books have sold over 100,000 copies and my new book, Stop Chasing Influencers, drops later this year. In the last three years, I’ve lost 170 pounds and moved our family to Maui, Hawaii. My goal is to help you create freedom in your work, health, and relationships and live your dream life. 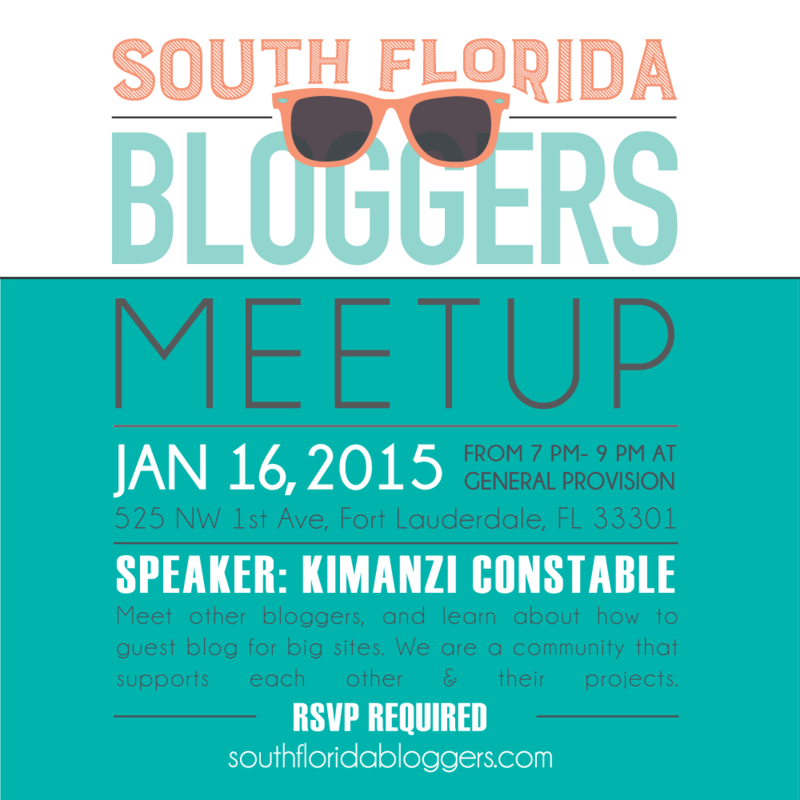 Thank you to Podcast South Florida for collaborating with the South Florida Bloggers for this event! Thank you to General Provision for hosting our January South Florida Blogger Meetup.